MRA's Double-Bubble Racing screen is designed to reduce wind pressure on your helmet and upper body, while still integrating with your bike's original style. "Screen arrived today, fitted, excellent. 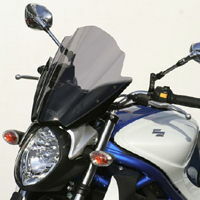 Looks ten times better than the ermax screen which was fitted and better than the very expensive Suzuki accessory." Manufactured in Germany by the world's largest aftermarket motorcycle screen maker - using a virtually shatterproof aircraft canopy material with a Lifetime Warranty - an MRA is the highest quality screen you can buy. !quote, 62026, 62921, 62379, windshields, wind, shields, motorcycle, vision, doublebubble, screens, dubble, gray, tinted, sfv, svf, svf650, 650, 08, 09, 10, 11, 12, 13, 14, 15, 16, 17, 18, 19, 20, 2008, 2009, 2010, 2011, 2012, 2013, 2014, 2015, 2016, 2017, 2018, 2019, 2020! installed easily (though a little bit of a fiddle to understand and then apply the edge protector instructions). Results are good, a real improvement at motorway speeds. I'm now all set for Europe tour later year and I'm confident this screen will be just what I needed. A new, innovative and extremely effective aerodynamically designed universal screen. Supplied with a complete handlebar mount fitting kit for your bike, the Racing Screen (RNB) has been specially designed to compliment the more aggressive style of the latest breed of naked bikes with integrated headlamp and instrument assemblies or those naked bikes with twin headlamps. 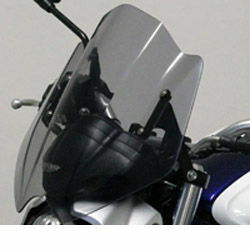 !windshields, wind, shields, motorcycle, vision, doublebubble, screens, dubble, gray, tinted, sfv, 650, 08, 09, 10, 11, 12, 13, 14, 15, 16, 17, 18, 19, 20, 2008, 2009, 2010, 2011, 2012, 2013, 2014, 2015, 2016, 2017, 2018, 2019, 2020!